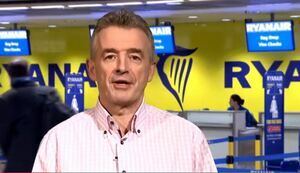 Ryanair Chief Executive Michael O’Leary has personally apologised to the airline’s workforce for reputational damage caused by what he described as the “mess” over flight cancellations. …He said Ryanair had not understood that rostering numbers were low – and had certainly mismanaged the allocation of the four-week blocks of leave to pilots in September and October when they were still running the summer schedule. 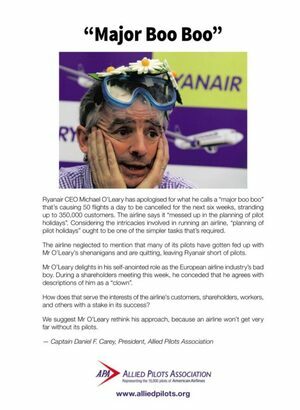 …Meanwhile the pilots’ deadline for Mr O’Leary to respond to their demand for negotiations on better contracts has expired. 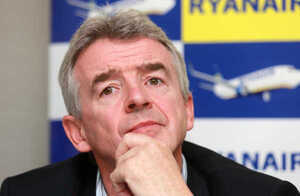 So far 55 of Ryanair’s 86 bases have rejected Ryanair’s offer of additional pay and deferred bonuses to give back leave. A full page advertisement taken out by the Allied Pilots Association in tomorrow’s Irish Times weekend edition. 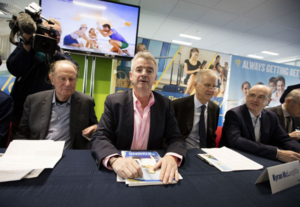 Posted in Misc and tagged apology, Michael O'Leary, Ryanair at 4:42 pm on September 22, 2017 by Broadsheet. Runaway would be a more apt title. 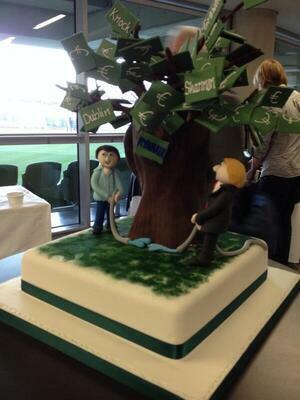 Nice to see him squirming…. I wish I couldn’t afford to leave this island. 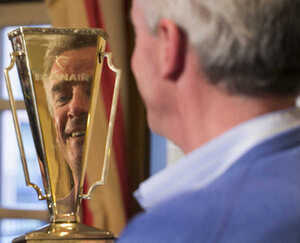 Smug man. Giving us potatoes eaters more money on our pockets. I hate him. I hate planes. I hate no ties. You could just shower and the spray will wash off… eventually. Breaking: RyanAir to employ London Uber drivers as pilots. I would not like to be the employee accountable for this whopper. Probably is an IT glitch. Watch this space for some software company getting the pants sues off them.